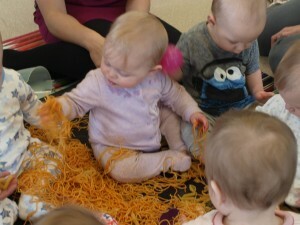 At Eden’s Baby Experiences we believe in the importance of messy play in your child’s development. Messy play offers a wide variety of learning opportunities and is an important part of your child’s early year’s education. Our sessions help your child’s language, intellectual, mathematical, personal, emotional, social, physical and creative development. During the session you and your child will explore a wide variety of messy activities together.